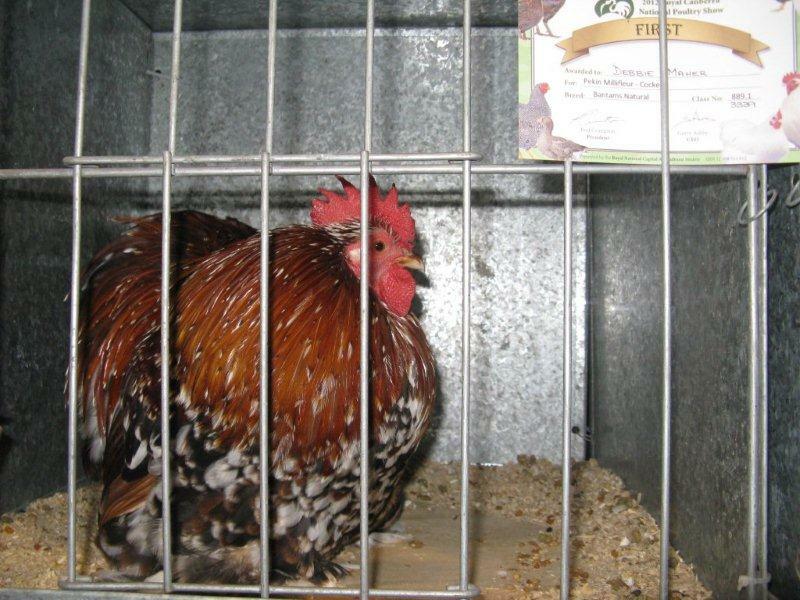 The big royal National Canberra poultry show is over. It was a great success with exhibitors coming from all over Australia. Many local club members did really well, taking home prize cards and ribbons. This was Debbie's first attempt at showing and all four of her birds came home with placings. First in both Millefleur pullet and cockerel classes. Not bad. Now for the champion or reserve champion Millefleur.